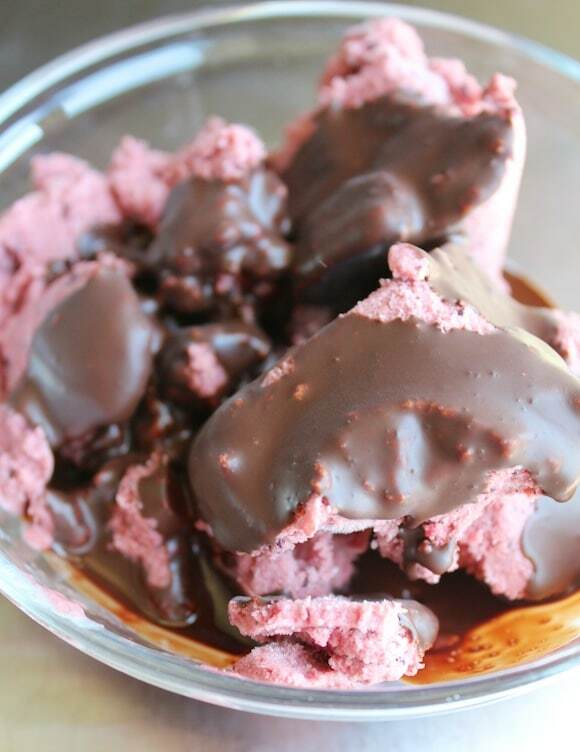 This post includes a dairy-free strawberry ice cream recipe with optional chocolate topping. With temperatures steadily soaring and it’s not even yet officially summer, it’s certainly time to go ahead and make a frozen treat to help cool down. 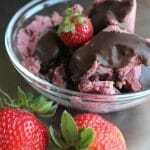 This post features an updated version of my Strawberry & Vanilla Bean “Nice” Cream recipe, but without using soy milk. Non-dairy, date-sweetened, and delicious, though? 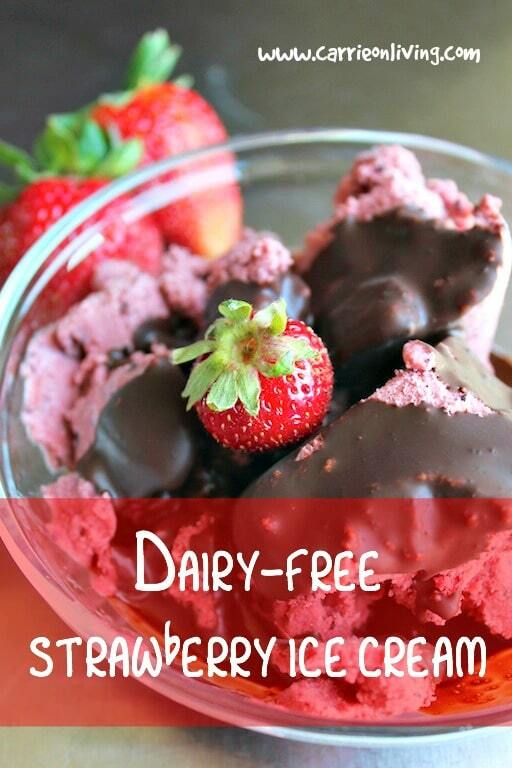 Yep, that description still fits with this new Dairy-Free Strawberry Ice Cream with Chocolate Topping (note: all ingredients available through Vitacost.com, one company I work with to develop healthy recipes, in exchange for most of the items listed). Place the can of coconut milk in the refrigerator until chilled thoroughly. Combine coconut milk, dates, strawberries, vanilla extract, and the seeds of the vanilla bean in a high-speed blender and process until smooth. Please coconut oil in a small saucepan over medium heat. Add the cocoa powder and vanilla and use a whisk to stir together as the coconut oil melts. Once the ingredients are combined, remove the pan from the heat. Pour the mixture over your choice of ice cream. The chocolate shell will solidify in a few minutes, or you can place your serving bowls in the freezer for a few minutes to speed the process. Love this recipe, thanks so much! I don’t have an ice cream maker. 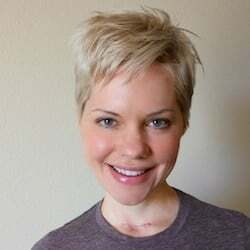 Can something else work just as well? Thanks for the tips and tricks, and ofcourse for the awesome recipes!